Sharprite Wire Resharpening Device is the perfect solution to the problem of inconsistent and slow speed wire sharpening. It helps you re-sharpen and activate all wire points available on mounted surfaces. The need of modern carding machines for finer blades, shorter tooth height and “cut to point” geometry is satiated by this re-sharpening device which restores the carding power of wire points by lightly re-sharpening them and avoiding any damage. The excellent design of the re-sharpening device enables the sharpening stone to touch almost all wire points in each traverse thereby activating all of them instantaneously and ensuring coherence of all wire points. ICC continues to be a leader in carding solutions with path breaking solutions that helps the textile and non-woven industry in producing top-notch products. Let us know your card clothing needs and we assure you to provide the best of solutions, products and services. 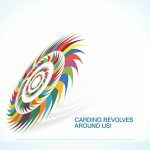 Looking for top-notch carding solutions? We can help. ICC has mastered change to keep its position as a leader. With products developed to handle the evolving needs of increased rate of outputs - going as high as 150 kg/hour. And to meet more exacting quality standards worldwide. Innovation has become an ongoing process at ICC. A state-of-the-mind instilled in every employee, in every department, in every stage of the production process.